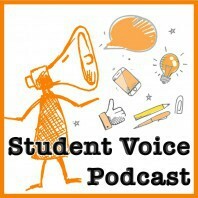 Episode 4 of the SoundOut Student Voice Podcast features Oliver Jacob, a student voice advocate at Arnprior District High School in Ontario. Oliver is a Grade 12 student at Arnprior District High School. He has been heavily involved in student leadership and volunteer work within his community including sitting on the Ministers Student Advisory Council in 2013-2014. He has been involved with Free The Children raising awareness for poverty and child labour in developing countries while teaching Canadian students that THEY are the leaders of today not tomorrow. This is what drew him to contribute to his local and global communities but more than that, he wants to make a difference in the lives of current and future generations. Oliver is committed to do what he can to create an environment where students can achieve excellence in anything they put their minds to by creating a safe learning environment that promotes diversity and leadership. In Episode 4, Oliver talks about his experience with Students as Researchers. Students as Researchers is a project in which student teams (elementary or secondary) are trained to conduct collaborative inquiry research following the Tri-Council Policy Guidelines for Ethical Research Involving Humans. The first pilot project was held in 2012 in which a multicultural health and community-service centre, Access Alliance, adapted their action research resource for use with elementary and secondary school students. In the project and in all training that followed, teams of 4 students and 1 teacher participated in training sessions held over two days (ideally), made a good start on developing their research question and methods and laid out a basic plan for next steps. Upon returning to their schools, teams would refine their question and methodology, secure research ethics approval, collect and analyze data and share their research findings with their school and school board and the ministry. In 2013, Students as Researchers teams shared their research findings with their peers, educators, and ministry staff at a conference hosted by the Ontario Ministry of Education. In this episode, Oliver describes his experience as a member of a Students as Researcher team and later, his experience as a Youth Facilitator at a Students as Researchers training session.